From chewing to speaking, teeth play an important part in one's daily life. In the past, there were only a few treatment options for missing teeth. With the advancements in dental technology, people can now receive the necessary treatment to correct their smile in only one or two visits. Dental implants are a titanium rod that we implant in the jaw to provide a sturdy base for an artificial tooth. Patients who are missing one tooth or several teeth can greatly benefit from dental implants for multiple reasons. Dental implants do not require extra care or removal during the night. In fact, people are able to treat dental implants the same way they treat their surrounding teeth. The surgical process for dental implants will take at least one appointment following a consultation. Dental implants are the fast, efficient and sturdy replacement for a missing tooth in a patient's mouth. While dental implants are an effective replacement for missing teeth, there are some cases in which a patient will not be suitable for dental implants. If the patient does not have a strong enough jaw, then there will not be enough bone to place the dental implant. We may recommend another replacement option that will be more suitable for the patient. Part of the issue is when people do not seek a replacement option as soon as possible and allow the process of resorption to occur. Resorption is the process in which the body leeches calcium from the jaw where the missing tooth was. After the tooth falls out, the jaw does not receive the proper stimulation and the body uses the calcium in that space for other areas of the body. When this happens, people will notice a sagging in the cheek at the specific area. Fortunately, dental implants can replace the gap and stimulate the jaw. Not only will dental implants provide a functional replacement for the missing tooth, they will also help a person maintain his or her facial appearance. To begin the procedure, we will make sure to numb the area of the mouth where we will be inserting the dental implant. In many cases, the patient will be asleep during the procedure. Unlike the root of a tooth, the implants serve as a sturdier foundation of titanium that fuses with the jawbone. The foundation will begin to fuse with the jawbone over the next several days to weeks in a process known as osseointegration. The number of teeth that we need to replace will determine the amount of time this takes and the next course of action. Dental implants are great because there is nothing to hide. Since some people feel self-conscious about dentures or the idea of them falling out, dental implants are an excellent option. With dental implants, the procedure completely restores the mouth as though it is good as new. 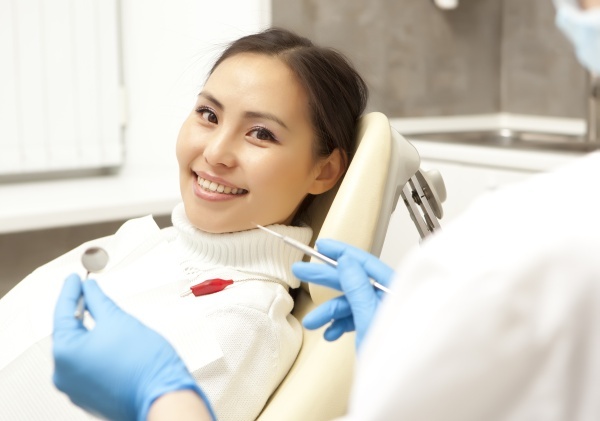 One stop refers to only having to go to the dentist once or possibly twice for everything to be completed. Regular dentures at other locations require a mold of the teeth and several days for a dental lab to create the dentures. There can be several different offices working on the whole process, that is not the case with one stop. One stop literally means one stop, the patient only has to go to one place for everything. The surgery and molding are all done at once and the teeth are ready to walk out with. Having the one-stop option for dental implants is brilliant and well loved by many. Call (516) 340-3766 today to reach Joel Heller DMD. « What Remedies Are Good For A Toothache?